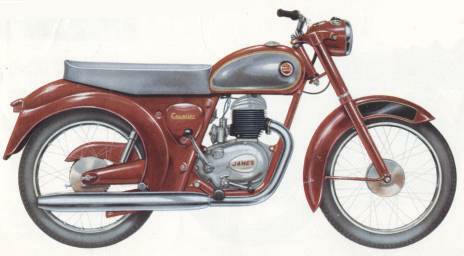 1959 James Cavalier L17 with AMC 171cc 17T engine and 4 speed gearbox. This view shows the Maroon paint scheme with Tropical Grey tank panels. Silencer appears to have been redesigned slightly.